Each year, it’s estimated that nearly 200,000 American women will be diagnosed with breast cancer and more than 40,000 will die. And while studies show we’re getting better at early detection and treatment, there’s still a lot that can be done to beat the disease. You can do your part during Breast Cancer Awareness Month by taking part in a breast cancer awareness event, such as Boobyball in Toronto, or invest in one of the following breast cancer awareness products. Proceeds go towards research and awareness efforts to fight breast cancer. Buy a limited-edition Party in Pink racer-back tank at PartyinPink.com and 30 percent of the proceeds will go to Komen, an organization dedicated to education and research about breast cancer. For more information, visit PartyinPink.com. 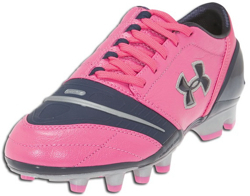 Purchase their limited-edition Dominate cleat and 10 percent of the proceeds will be donated to funding breast cancer awareness and research. For more information, visit UnderArmour.com . 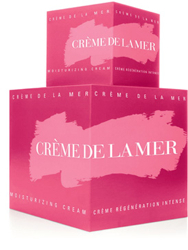 This year, 11 of the company’s most glamorous and popular beauty brands have come together to sell 20 products to raise awareness and funds for breast cancer research. The hope is to make October 2010 prettier, pinker and more powerful than ever! Donations are expected to be in the hundreds of thousands of dollars. Annick Charbonneau, Chiccane.com’s founder, is selling a T-shirt designed by Nadya Toto – with project ambassador Sophie Grégoire-Trudeau – and will donate 25 percent of sales to the Canadian Breast Cancer Foundation to support breast cancer research. 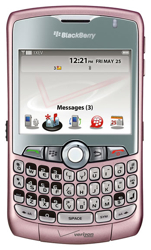 The phone company will donate $25 from every Pink Blackberry Curve and Blackberry Pearl sold to help purchase new digital mammography equipment as well as breast cancer technology programs. Developed for Breast Cancer Awareness Month, this palette contains three lovely shades – shortcake, sucre d’orge and golden apricot. To support the fight against breast cancer, Lise Watier will be donating $25,000 to various research organizations. 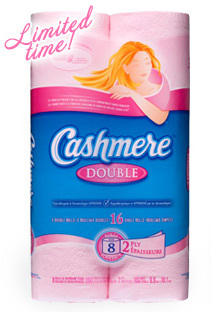 Back for another year, Cashmere toilet tissue is set to bring back its limited-edition Pink Cashmere for sale through October. 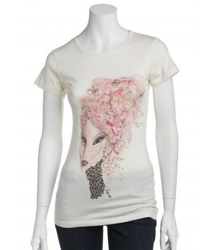 The product is designed specifically to raise funds and awareness for the cause. A fashion show marking the event will happen in Toronto at the end of September.